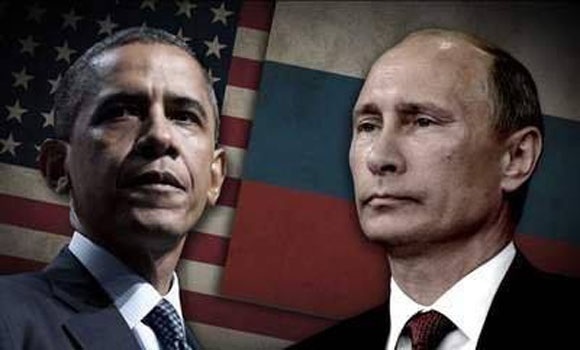 This is the second part in a series in which it will become clear that Putin, Obama and the banksters are the greatest threat to the welfare of mankind and the world is on a one-way trip to a planned Armageddon. Part one detailed how key Soviet defectors have repeatedly warned the United States about a multi-generational plot to destroy America. Before this series is concluded, Obama will be clearly implicated in this plot as well. However,the focus for Part Two of this series centers around Putin’s role in destabilizing and destroying America. 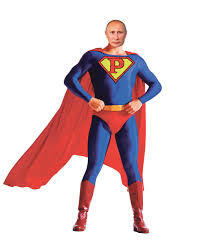 Look, up in the sky, is it a bird, is it a plane, no, it’s Super Putin. He is single handedly taking on the evil bankers and winning. According to some, Putin will singlehandedly rescue the world from the clutches of the Rothschild/Rockefeller criminal banking cartel. Putin is the modern day version of George Washington who will lead the world to the promise land while crushing the New World Order. I wish this was true, but to believe so would be to engage in the fantasy thinking of a five year old. There are no good guys, there are no bad guys. There are the banksters. They own everything and they control everything. It may be true that Putin appears in control of the world’s chessboard as evidenced by his repulsing of the planned American invasion of Syria and now he controls the high ground on regaining control of Crimea and ultimately Ukraine. Putin may presently control the chessboard, but who is in control of Putin? The illusion of choice is an interesting proposition. In the 2012 election, we saw Obama running for re-election against Obama 2.0. Both Romney and Obama were for “universal” healthcare. Both men were willing to trample on American civil liberties as move headlong into the New World Order. There was virtually no difference between the two. In the recent 2014 midterm election, the Democrats officially became an endangered species. Some Americans actually believe that by turning the political coin over, that they have actually produced change with their Diebold voting machine controlled elections. The third paradigm that ignorant Americans are falsely believing is that Vladamir Putin is a hero and Obama is the villain. All of a sudden, Putin is against homosexuality, is a professed Christian, denounces the New World Order , is devoutly anti-Sharia Law and rejects the Petrodollar. Obama is openly embracing the opposite of Putin’s mainstream profession of family values. One look at Putin’s life quickly reveals what a fraud this man is. He is no more of a Christian than Lucifer. Putin is part of a bankster PSYOPS to erode American confidence in their own leaders by being more like a traditional American than the American president. “This is my last election. After my election I have more flexibility.” Obama assured the departing Russian President he will have the “flexibility” required to deal with missile defense issues after the 2012 presidential election. So much for the East-West paradigm which is “threatening” world peace, and we are supposed to believe this fiction that Putin is a noble man who is opposing the ruthless United States led by the war mongering Obama? The following tape demonstrates that the Russians, the Americans and the banksters are playing for the same team. World War I was waged by 27 nations. The number of participants totaled 66 million. There were 37 million casualties with seven million who were killed. Its direct costs are estimated at $210 trillion. The indirect costs of the war are estimated at $150 trillion dollars. And these figures do not include the additional billions in interest payments, veterans’ care and pensions, and similar expenses…” In WWI, we see the Rothschild/Rockefeller banking interests prolonging the conflict by at least three years. The only way that this war continued beyond 1915 was because the Federal Reserve was created in 1913 and could make up money out of thin air. This is how the bankers do it. This is how they get endless war by supplying both sides with fiat currency and promoting wars by controlling both sides of the conflict. Many experts credit Standard Oil with giving the allies the ability to win WWII against the Nazi’s. Yet, The banksters also supported the Nazis in World War Two as Charles Higham documents in his classic book, Trading with the Enemy (1983). Higham clearly demonstrates that Rockefeller’s Standard Oil supplied oil to the Nazis. George H. W. Bush’s father, Prescott Bush was actually charged with violating the Trading with the Enemies Act in WWII, because the elder Bush was supplying aid and comfort to the Nazis. The charges were eventually dropped and the event was covered up because Bush was in charge of the USO and the damage to American morale could have been significant. Coke and IBM supplied both sides in WWII and the list goes on and on. And we are supposed to believe that Super Putin is above all of this control? For those that think that Putin is a desirable alternative to the banksters should consider the following Putinisms which stand as a testament to his absolute moral depravity and thuggery. He is KGB, and then he morphed into a key member of the Russian Mafia along with like-minded thugs of that era. At one time after the fall of Russia, the Russian Mafia was the only viable business alternative (i.e. black market) and it was complete with protection rackets, the murdering of journalists who exposed their criminality and the assassination of politicians who opposed this group of which Putin was a prominent member. Businesses like Life Lock, the identity theft protection agency, owes its existence to Putin and the Russian Mafia. It is the Russian Mafia that has popularized the crime of computer hacking and identity theft. Putin has been a key player in the rise of the former KGB/Russian mafia as the ruling party in the Russian Federation. New England Patriots owner Robert Kraft went public with claims that Russian President Vladimir Putin stole his 2004 Super Bowl ring during his visit to Russia in 2005. All of you naysayers, turn off your computers and save your printer ink, this is too well documented to not be true. In 1991, Putin, then deputy mayor of St. Petersburg, organized a number of scams involving meat imports into the poor, starving city. This drive is believed by many to have enabled Putin to make himself incredibly wealthy with an amassed fortune of almost $70 billion. 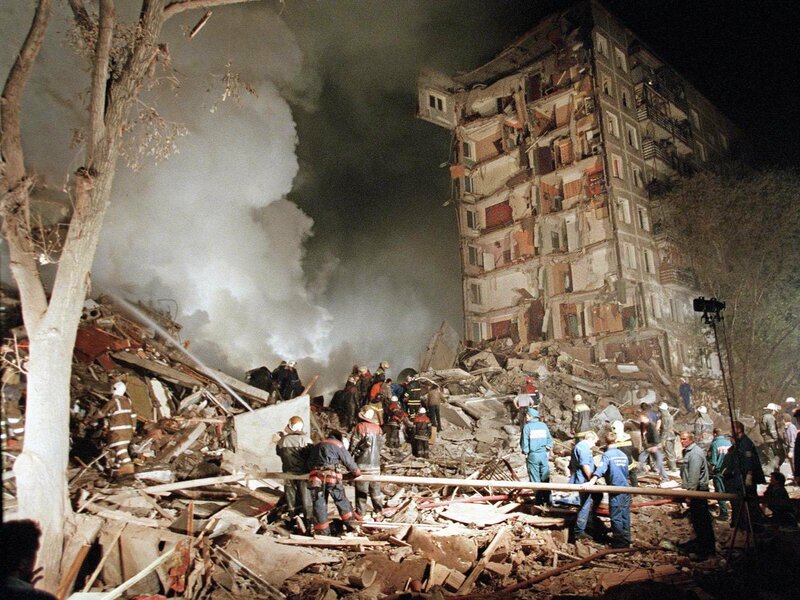 Putin has even had his 9/11 false flag moment. While trying to drum up a reason to invade Chechnya, the FSB engineered a false flag event by blowing up Russian apartment buildings. Putin seized upon this false flag moment to develop a reputation as a get-tough guy on terrorism, when in fact, Putin is a mass murderer. Of course there are those that would cast Putin, including himself as a Christian. If he’s a Christian, I would have to denounce my religion. When Putin was a member of the KGB (i.e. the Russian Mafia), East German Intelligence described him as a philander and a wife beater! Some Christian! 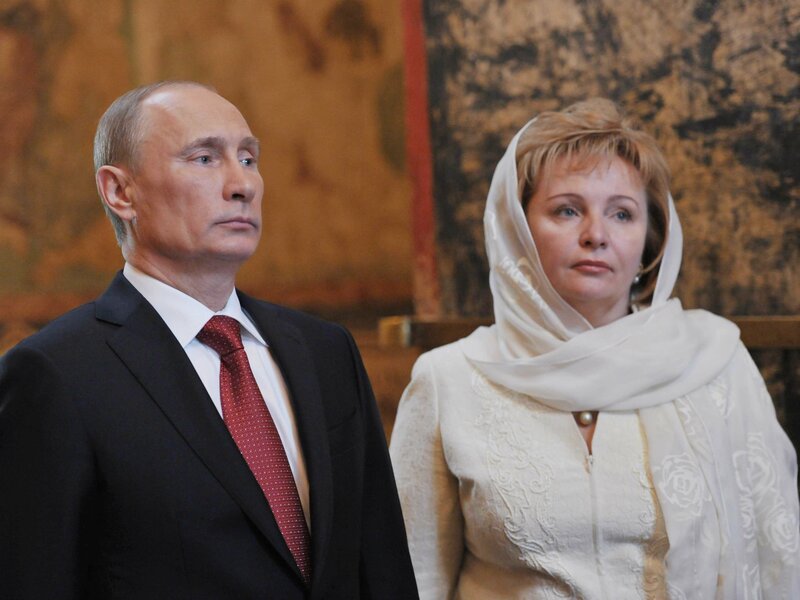 Understandably, Putin’s wife divorced him. She is lucky to still be alive. The above Putinisms are merely a small sample size of a consistent and much larger and verifiable set of concerning behaviors. As a former therapist, I would diagnose Putin as a man who has exceptionally poor impulse control, prone to knee-jerk reactions, one who dehumanizes and depersonalizes everyone he comes into contact with. Further, he lacks complete empathy for others. Putin is the marriage of what psychologists used to call a psychopath and a sociopath. Today, the clinical term is Anti-Social Personality Disorder. Charles Manson, Richard Speck, Stalin and Mao share the same diagnosis. Putin is extremely dangerous and very unpredictable. Character counts and neither man is a desirable leader. The people of Ukraine are left with a lose-lose proposition as its people attempt to choose between East and West and, for that matter, so is the rest of the world. Attention America, if it takes a war to hand off Ukraine to the banksters, whose kids do you suppose will be fighting to further the bankster goals? Who do you think will be paying for this coming calamity? The days of Ukraine are numbered.With the CIA created ISIS, Syria’s days are numbered as well. In short, humanity’s days are also numbered as the battle lines have been draw. It is Putin, Obama and the Banksters vs. all of humanity. In tomorrow’s article, I will expose Obama’s complicity in this plot to destroy America. However, not so fast. Many credible resources say the otherwise. I sure hell hope so! If Russia and China are both wearing the Rothschild jeans.. we are numbered. Sounds like humanity is on the brink of extinction.